I wrote about Michigan Central station a few weeks back, and am saddened to see the topic darken my ‘net reading doorway once again. 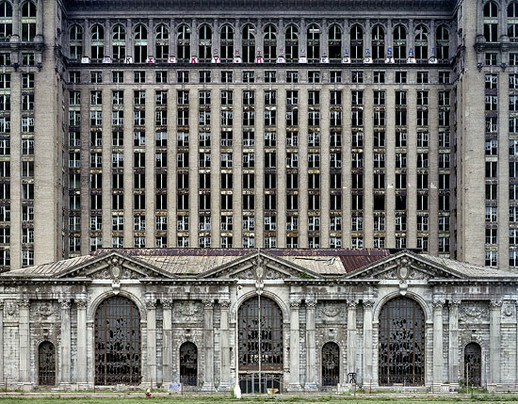 According to The Infrastructuralist, the mayor of Detroit wants to fund an ‘emergency demolition’ of the grand old lady using Federal stimulus money. This really upset me, more than I would have thought, considering I’ve never even been to the building. While I recognize that the building is probably too far gone at this point to even consider any sort of rescue, it’s always sad to have to admit such a thing. But the real kicker is the use of ‘stimulus’ money. The only way I can see this stimulating the Michigan economy is by removing from the hearts of the citizens of Detroit a symbol of the cancer that has decimated the city. And I can’t help but think the money (meant for stimulating the economy) would be better spent curing the cancer.